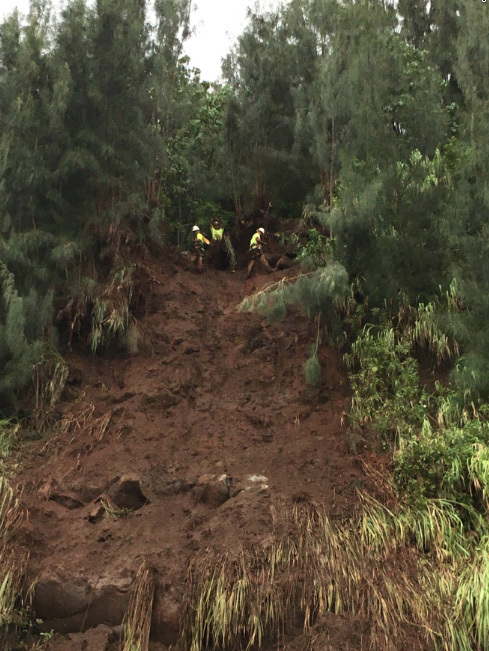 Heavy rains are causing extreme and fast-moving runoff on several streets and highways on Hawaii Island. As a result of the weather, there is minimal visibility on all roadways. Please stay off the roadways until conditions improve. Flooding and rising waters are being reported at many locations. Do not attempt to drive through flooded streets. For your safety, stay under shelter, stay at home, and do not drive unless it is an emergency. Mamalahoa Highway (Route 19) – 28-29 mile marker (Kaawalii Gulch) As of 8:27 p.m. the gulch is open to traffic. Due to the potential effects of Hurricane Lane, two emergency shelters have been opened on the east side of Hawaii Island. These shelters are for your convenience, but there is NO mandatory evacuation at this time. The shelters are available if you need to relocate. If you choose to relocate to a shelter, food is not provided. Please bring your blankets and pillows if possible. However, the shelter is open to everyone with or without these items.